Don’t Break the Chain is the first publication of what the Jewish Museum and Archives of British Columbia hopes will become a Family History series. 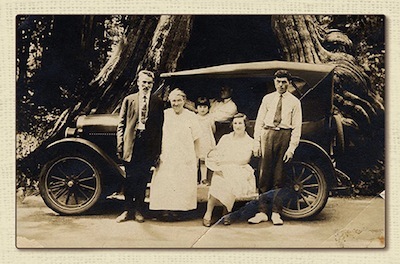 The Jewish Museum and Archives of British Columbia has released the first book in what it hopes will become a Family History series. 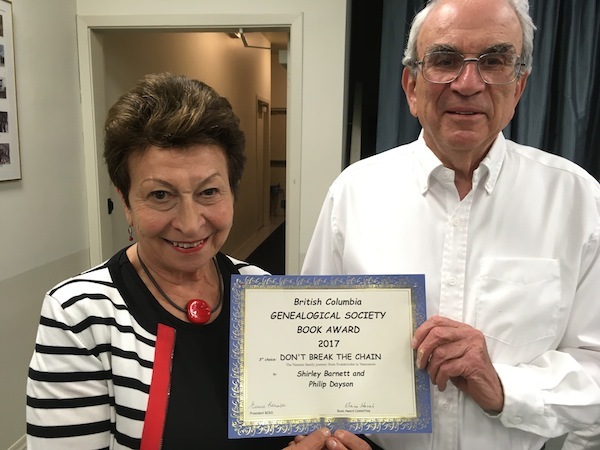 Don’t Break the Chain: The Nemetz Family Journey from Svatatroiske to Vancouver was published in collaboration with the Ben and Esther Dayson Charitable Foundation, and was researched by Shirley Barnett and Philip Dayson. 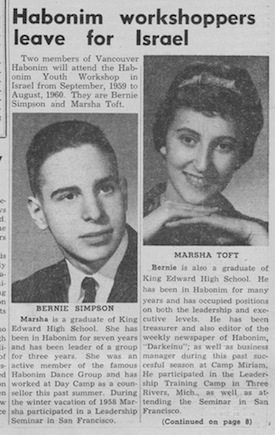 Barnett described her family as founders and workers behind the scenes of the Vancouver Jewish community. There was plenty of raw material to draw from for the book, given the fact that Barnett’s six brothers had created memoirs and Dayson had begun creating family trees 25 years ago. The project became challenging when she opted to include charts and photographs of children, grandchildren and great-grandchildren. Ultimately, with the assistance of graphic designer Barbi Braude and Facebook, she was able to source all the photographs required to complete the book. Michael Schwartz, director of community engagement at the JMABC, said the Nemetz family journey would resonate among many other Jewish families in Vancouver. The launch of Don’t Break the Chain is being celebrated at a hosted brunch at the Jewish Community Centre of Greater Vancouver on April 2, 11 a.m. If you are interested in attending, call the museum 604-257-5199. Shirley Barnett, a longtime community activist and philanthropist, is to be honored by the Jewish National Fund at its annual Negev Dinner April 10. “The Jewish National Fund is a strong organization that is entering a new stage of many joint ventures and many new directions and worthy of support,” said Barnett, who selected as the recipient project of the event a shelter for women and children fleeing domestic violence. Jewish National Fund, Pacific Region, is collaborating with No to Violence Against Women, which was established in 1978 by Israel Prize laureate Ruth Rasnic, who is scheduled to be in Vancouver for the event. The goal is to raise $1.5 million for the project, which will shelter 10 to 12 families at a time and provide victims of domestic violence with a safe environment from which they can start over. Staff and volunteers of the organization work with families to access therapy, secure income and new housing. As many as 65% to 70% of women and children fleeing domestic abuse in Israel cannot access shelters due to lack of availability. Moreover, the shelters run by No to Violence Against Women are the only ones open to people of all religions and denominations, said Barnett. The shelter, in Rishon Le Zion near Tel Aviv, will be named the Vancouver Shelter. The cause is in line with Barnett’s lifetime work. Barnett said she knew she wanted to be a social worker from age 12. While at the University of British Columbia, she had the opportunity to work as a women’s matron at Oakalla prison in Burnaby. “I was always interested in institutional work, I don’t know why,” she said. “I worked there for about half a year and then I did my fieldwork in juvenile probation.” She worked in other prison settings, as well as with people with addictions. She also helped found Food Runners, now part of the Vancouver Food Bank. It is a program in which a refrigerated truck picks up surplus food from hotels and restaurants and delivers it to organizations that feed people. After graduating with a bachelor of social work degree, Barnett worked for a federal agency setting up affirmative action projects for women and resettlement projects for Ugandan refugees. As a volunteer, she served on the board of directors of the Jewish Family Service Agency for 12 years, including four as president. She also spent two years as the agency’s acting executive director. During that time, she founded the Hebrew Free Loan Association, which now holds more than $1 million in assets and has provided thousands of loans to people in need. 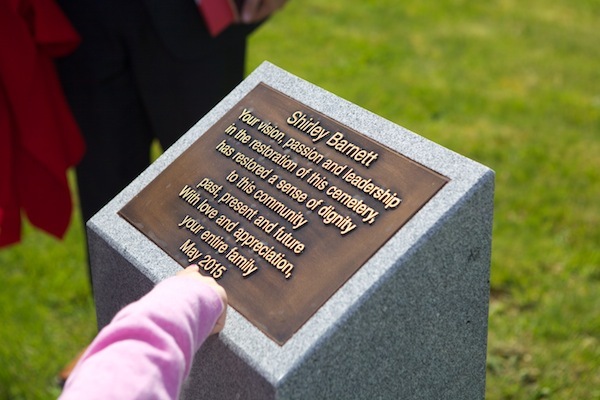 Barnett has also co-chaired campaigns for the Jewish Community Centre of Greater Vancouver (JCCGV) and the Jewish Museum and Archives of British Columbia (JMABC). She was the first president of Shalva, a facility in Israel for special needs children. She established a garden in Fir Square at B.C. Women’s Hospital and a unit for addicted mothers and their infants, a peer-to-peer coaching program at the UBC Counseling Centre, a pilot project at Vancouver Hospital for early intervention for depression in women, and led the restoration of the old Jewish Cemetery at Mountain View. 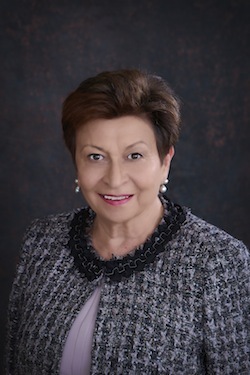 She has advised the Aboriginal Mother Centre and currently serves on the faculty of arts advisory committee to the dean of arts at UBC, on the board of directors of the JMABC and on the Schara Tzedeck Cemetery board, and she is an honorary director of the Hebrew Free Loan Association. With her brother, Philip Dayson, she administers the Ben and Esther Dayson Charitable Foundation, which provides philanthropic funds to local Jewish and other community causes, particularly in the area of non-market housing and rental subsidies for members of the Jewish community. Barnett said that the shelter project in Israel is especially meaningful because it is supported by the JNF, a charity that her family has always supported. “We grew up with the JNF in our house,” she said. In addition to the latest honor from the JNF, Barnett’s contributions to the community have been recognized by the JCCGV, N’Shei Chabad and Jewish Women International, and she received the Gemilut Chasadim award from the International Association of Hebrew Free Loans. The sold-out Negev Dinner takes place at the Four Seasons Hotel. 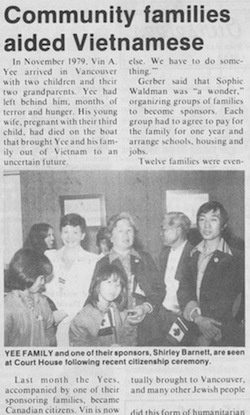 On Nov. 18, the Richmond Public Library board fêted the Dayson family and the Ben and Esther Dayson Charitable Foundation at a reception attended by more than 50 people, including Richmond Mayor Malcolm Brodie, councilors Chak Au and Alexa Loo, and distinguished guests from the Jewish community. “It was a wonderful opportunity for people to come and celebrate the Dayson family and their outstanding generosity to the community, while also having a chance to browse the popular and growing Dayson Collection,” said library communications officer Shelley Civkin. 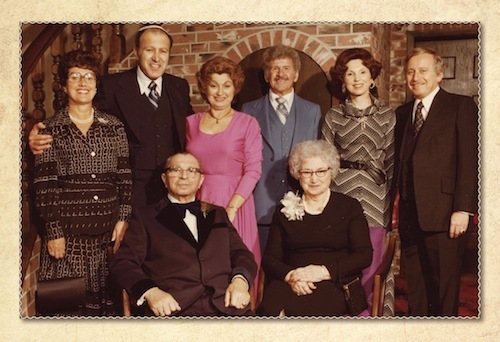 The Ben and Esther Dayson Judaica Collection started in 2003, when the Dayson family donated their personal Judaica collection to the library, and gave $50,000 to the Richmond Public Library Endowment Fund held by the Richmond Community Foundation. 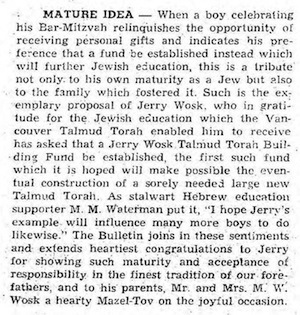 In 2004, the Ben and Esther Dayson Judaica Collection was launched to the public and, since then, the Dayson family and their charitable foundation have donated a total of $110,000 to the library. The Dayson Collection has grown to include more than 1,800 books and DVDs for adults and kids. One hundred years of anything in Vancouver is fairly unusual. 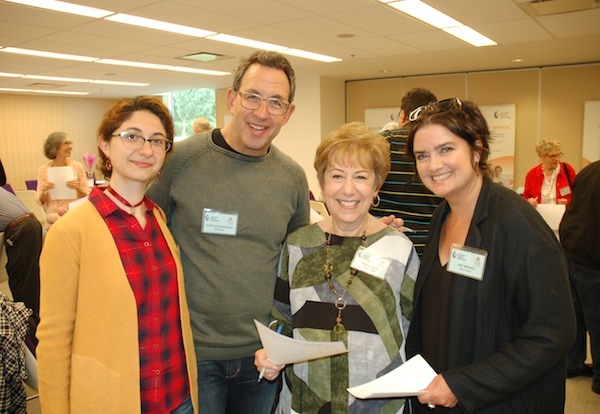 On May 7 at the newly rebuilt Beth Israel, the Vancouver Hebrew Free Loan Association celebrated the remarkable milestone of 100 years since it was originally founded. In January 1915, the year that the Vancouver Millionaires won the Stanley Cup, a group of Jews gathered for the first meeting of the Vancouver HFLA. Designed to give interest-free loans to Jewish people starting out in the community, the association played an integral part in helping establish many early Jewish businesses and getting people settled here. The HFLA Centennial Celebration reflected its grassroots beginning with a relaxed, different kind of evening. Casual picnic-chic décor and a picnic-style menu went with the fact that the event was held on Lag b’Omer. Greeting the guests were actors and musicians from the volunteer troupe Kol Halev. 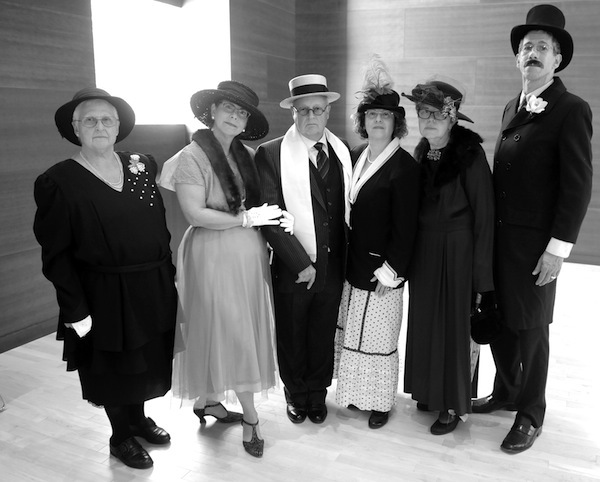 They were dressed in period costume and introduced themselves in character, sharing “their personal stories” as the founders of Jewish lending in Vancouver. These actors provided an interactive beginning to an evening that was designed to raise the profile of HFLA. Through a multi-media approach, the event managed to educate those in attendance about the valuable role that interest-free loans play in Vancouver’s Jewish community. The program began with a short d’var Torah by Beth Israel Rabbi Jonathan Infeld, touching on the relationship between Lag b’Omer and interest-free lending. HFLA president Michelle Dodek followed the rabbi’s comments by explaining the three objectives of the event: to raise awareness in the community by sharing what HFLA does, to honor the donors and board members who have made the work of the organization possible, and to look to the future. She recognized the multi-generational links of those in attendance, including the remarkable fourth-generation connection of the three Krell sisters (Shoshana Lewis, Simone Kallner and Michaela Singerman), whose great-grandfather, David Davis, was a contributor to the original Vancouver HFLA kitty in 1915 and served as a trustee in 1931. 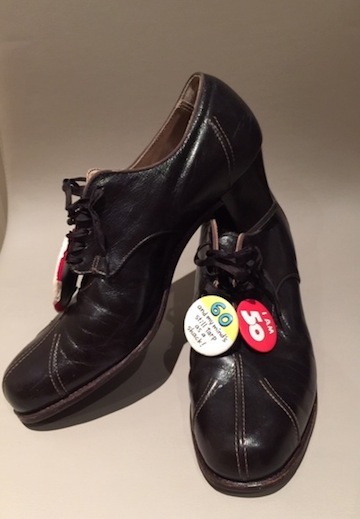 Their grandfather, Charles Davis, was one of the founders of the re-creation of the organization in 1979. 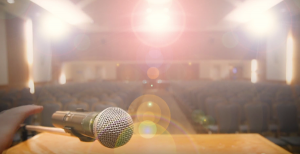 Dodek’s speech was followed by a short video featuring two former borrowers, Mihael Mamychshvili, a prominent shiatsu therapist and Barbi Braude, a graphic designer. Joe Segal and Shirley Barnett shared their historical perspectives and goals for the organization. Guests then heard from four borrowers whose lives were changed by the loans they received from HFLA. Successful entrepreneurs Zach Berman and Ryan Slater began their business, the Juice Truck, with help from HFLA. Val Lev Dolgin used an education loan to earn her master’s in counseling psychology; she now helps children who have survived physical and sexual abuse. George Medvedev, a neurologist, shared how he and his wife, a hematologist, used a loan to help them when they first arrived in Canada from the USSR almost 20 years ago. Another story was read by a volunteer to respect the anonymity of the borrower because of the sensitive nature of her situation, while the story of former borrower Maxim Fomitchev was shared by his friend, Tobi Lennet. Briefly, Fomitchev, a deaf mime, while touring with his troupe of mime artists from the USSR in 1991, defected, accompanied by his performing partner. The two found themselves volunteering for Jewish Family Service Agency and, within two years, Fomitchev borrowed money for a car to get from one mime gig to another. He has since achieved one of the pinnacles of success for a mime – he is the head clown in Cirque de Soleil’s Las Vegas show, Zarkana. The evening’s program ended with the educational element of the night, the stories of four “typical” borrowers: parents of a child needing counseling, a retired woman needing dental work, someone between jobs in a stressful situation and parents borrowing to finance a modest bar mitzvah. All of these stories served to drive home the significance of HFLA. 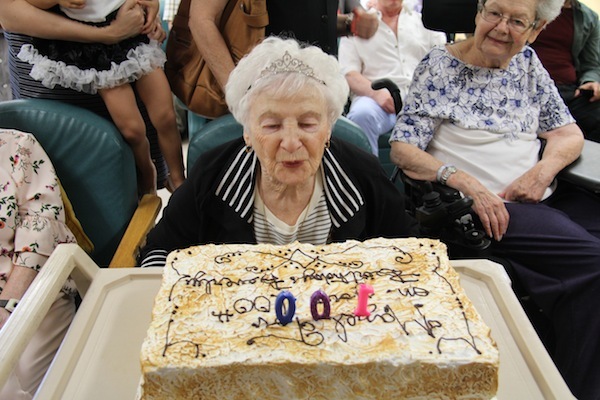 The HFLA Centennial Celebration was a chance to celebrate a significant milestone in the community, raise awareness of an organization that is “the best kept secret” in Vancouver while recognizing donors and volunteers who make it all happen. The message for the future is that HFLA is looking for borrowers. For more information on how to apply for a loan, to watch the HFLA video or to find out about how the organization works, check out its newly revamped website at hfla.ca. 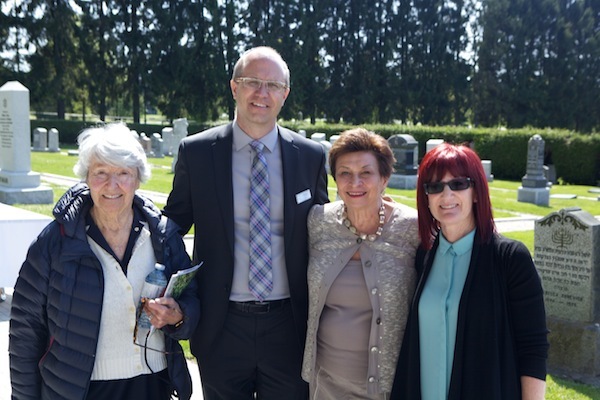 Several generations of Jewish life in Vancouver were represented Sunday afternoon at the rededication of the Jewish cemetery section at Mountain View Cemetery. The historic burial site was first consecrated in 1892. In recent years, the site had deteriorated. There were more than 150 unmarked graves, many neglected headstones, pathways had eroded, hedges overgrown and the entryway had deteriorated. Under cloudless skies, young children, all born more than a century after the first burial in the Jewish cemetery, assembled at the new entryway, joined by other generations of families with ancestors buried there, to officially open the gates of the rededicated cemetery. The project, which took less than three years, was undertaken by a team of volunteers led by Shirley Barnett and assisted by the civic officials who run the cemetery, including cemetery manager Glen Hodges, with the support of the city, which owns Mountain View Cemetery. 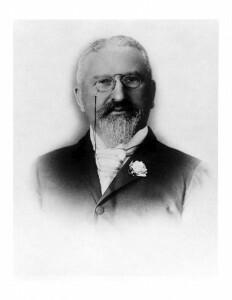 Jack Kowarsky, chair of the Schara Tzedeck Cemetery board, noted that the City of Vancouver had given the Jewish community this parcel of land 123 years ago, before which Jewish bodies had been shipped to the nearest consecrated Jewish cemetery, which was across the water in Victoria. The 450 Jews interred at Mountain View, Kowarsky said, represent the forefathers of the current community. Raymond Louie, Vancouver city councilor and acting mayor, called the rededication an important day for the Jewish community but also for the City of Vancouver. He credited Barnett, Arnold Silber and Herb Silber for the progress made during two and a half years of work, and he reflected on Mayor David Oppenheimer, the city’s first Jewish mayor, who was pivotal to the creation of the Jewish part of Mountain View. Louie said the day was an opportunity for Vancouverites to remember ancestors and celebrate our multicultural heritage. Barnett, who was presented with a book documenting the work that took place, deflected attention to others in the audience, noting that a single individual – Cyril Leonoff – led the community’s fight in the late 1960s, when the city attempted to remove all upright headstones and replace them with flat ones to make maintenance easier. Barnett expressed gratitude for the happy coincidence that both Bill Pechet, a world leader in cemetery design, and Cornelia Hahn Oberlander, a globally recognized landscape architect, are both Vancouverites. J.B. Newall Memorials, a memorial and monument company that is also a preeminent headstone restoration company, Barnett said, generously donated a headstone for the previously unmarked 1892 gravesite of the first interment in the cemetery, as well as refurbishing many headstones. Arnold Silber brought laughs to the audience when he referenced Barnett’s reputation for getting things done. 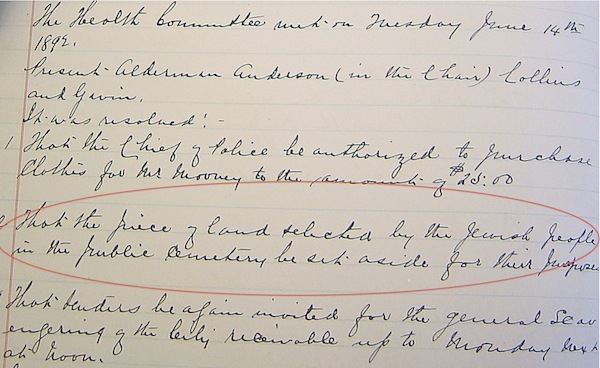 He reflected on the phone call from Barnett three years earlier asking him what should be done about the poor state of the cemetery where her grandfather is buried. Silber stressed that the Jewish cemetery at Mountain View has an inclusive mandate that “any Jew, regardless of their affiliation, can be buried here at Mountain View.” He added that, now that the renovation and rededication have taken place, funds are being raised for perpetual maintenance and protection of the site. “All generations to come will understand the value of this great Jewish cemetery,” he said. With the renovation, several new plots have become available. Rabbi Andrew Rosenblatt and Cantor Yaacov Orzech provided an indication of what the original dedication ceremony might have been like in 1892. At the time, the rabbi said, those assembled would have proceeded seven times around the cemetery as part of the consecration process but, he noted, the size of the assembled people Sunday did not permit such a procession. The cantor offered some of the prayers that would have been included in that ceremony 123 years ago, including the prayer accompanying a casket to the gravesite. Rosenblatt noted that the rededication was taking place on Pesach Sheini, a day specifically created, according to rabbinical interpretation, so that those who contract ritual impurity by caring for the deceased should be able to nevertheless celebrate the joy of Passover. Rev. Joseph Marciano offered the prayer traditionally spoken when leaving a cemetery. After the generations of descendants of those interred in the burial ground passed through the gates, followed by scores of rabbis, cantors, city councilors, an MP and community leaders, two headstone unveilings took place, one for “Baby Girl Zlotnick,” who died in 1920, and another for Otto Bond, the previously unmarked grave of the first individual interred there.